A few weeks ago Wicked Uncle asked me if I would like to try out their service. When I looked at their site I knew it was exactly the type of website we were looking for, you see the boys are in school and nursery now and with that comes birthday party invites from friends. I don’t know about you but with my boys being so young it still tends to be whole class invites as good friends seem to be changed more frequently than socks. With this in mind it is sometimes hard to find a suitable present for the birthday child that won’t break the bank. 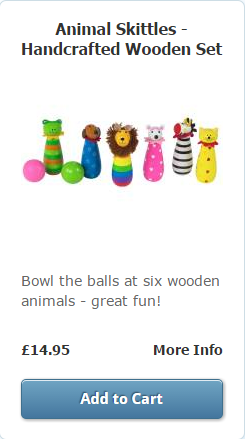 Wicked Uncle has come up with the perfect solution for this problem by selling a wide variety of toys, many for under £5 for all ages from birth right up to the teen years. Shopping is made easier by the fact that every item is categorized by age and gender. No they are not gender stereotypical but it does make shopping for a child you don’t know very well easier. Gender – some people don’t like this division. We do it to make things really easy and the popularity rating shows what other people are buying. We divide products by gender because nobody ever buys pink tiaras or Frozen products or dolls for boys. It just doesn’t happen so there is no point in including these in the girl sections. We certainly include construction, Lego, remote control and outdoor fun products in the girls sections. We love the idea of girls running around being as boisterous as small boys. Check out the Battle Tanks in Girls 8-10. Where a product has been in various age / gender categories and it doesn’t sell at all, then we may take it out to make room. A lot of toys are age specific and children really don’t like getting toys they think are too young for them. I let the boys loose on the website to see what they would like to buy if they had the chance, and I also told them that the birthday fairies would be watching to see what they liked. 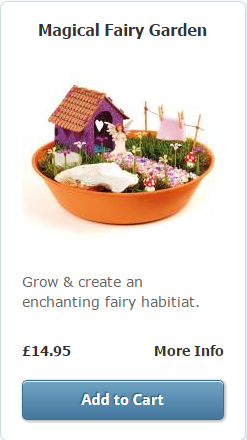 JR chose the Fairy Garden by Craft box. TP chose the animal skittles as this is the activity he enjoys most at occupational therapy. As a duo they decided that they would choose LA’s gift as she was having a nap at the time and they decided that she would like the build your own boat puzzle. For these 3 items postage and packaging was £2.95 and unless you choose express delivery which is a slightly higher cost however big the parcel and however many items you buy the P&P will only be £2.95. Also all orders placed by 4pm are shipped the same day, with a delivery time of 2-3 days, we placed our order on Wednesday lunchtime and it arrived by Friday afternoon. I was incredibly impressed by the speed of the service we received and also the communication we received by email too. 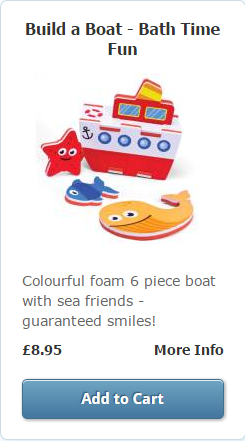 Overall this is a brilliant site which is in actual fact not just a toy shop but more a present buying service, for parents, uncle, aunts, godparents, grandparents and friends. Another nice touch is the fact they have 10 sorts of giftwrap, and can send a handwritten card for birthdays, Christmases or a Christening, directly to the recipient and include a pre-filled Thank You postcard with your name and address on for the child to send back to you. Disclosure: We were credited with £40 to spend at Wicked Uncle for the purposes of this review all words and opinions are my own. This entry was posted in My Stuff, Review and tagged aunts, birthdays, Christening, Christmases, friends, godparents, grandparents, parents, uncle.